Texo Drone Survey and Inspection (Texo DSI) has carried out an internal unmanned aerial vehicle (UAV) inspection of a "live nuclear asset", which it says is a first for the global nuclear sector. Texo DSI was commissioned by Urenco UK to perform the inspection of one of its processing plants for fire compartmentation checks. The project has saved Urenco UK "substantial costs", Texo DSI said, over traditional access methods by not having to build manual access systems across the entire building. Martin Pearson, Urenco UK managing director, said: "This has been a ground-breaking inspection for us. Not only has it saved on traditional access costs it also reduces the obvious working at height risks that come with that. Texo DSI can send the drone up from the safety of the ground and ascertain if there are any gaps in our fire arrangement that need repairing. It has taken about nine months to get to this place from a risk point of view so those of us involved in this project can see the value going forward." Witham, England-based Texo DSI said the internal Remotely Piloted Aircraft System was deployed into the wall and ceiling voids to inspect the structure. Utilising its high definition visual and thermal cameras, with 0.2mm per pixel resolution allowed detailed examination of the structural fabric of the building, the company said. This deployment, believed to be the first internal inspection of an active uranium enrichment plant, is pivotal for the future of internal inspection for the nuclear sector, it added. 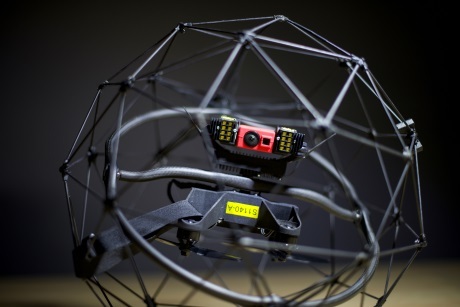 Texo DSI said it has made a "multi-million pounds investment" in a fleet of advanced UAVs and associated payload sensors for industrial survey and inspection, alongside the development and implementation of its asset management TEXZONE software platform, and process and quality management systems.